Malignant mesothelioma is considered a rare disease. Compared to the number of people that get diagnosed with diabetes, for example, it is a very rare disease. However, to the roughly 3,000 people who are diagnosed in the United States with malignant mesothelioma and told they only have a short time to live, the fact that it is rare is of little comfort. In fact, the opposite is generally true. With malignant mesothelioma being so rare, it is considered an orphan disease, which essentially means there is little profit in working towards a cure. If more people got malignant mesothelioma each year, and the drug companies smelled profit, we might be a lot closer to a real cure. However, before we can discuss a cure, it is important to understand what malignant mesothelioma actually is. A recent news feature from Healio takes a look at this issue. As discussed in this article, malignant mesothelioma first occurs in a layer of cells known as the mesothelium. This layer of cells is present in most internal organs of the human body. We typically see the cancer occurring in the pericardial mesothelium, which is in the chest, the peritoneal mesothelium, which is in the stomach, and pleural mesothelium, which is in the lungs. However, we can also find malignant mesothelioma in the mesotheliomas of the tunica vaginalis, which form the beginning of the testicular lining. However, it should be noted that once mesothelioma forms in one of these areas, it can quickly spread to the rest of the body. The mesothelium can be further categorized into the type of cells. In the majority of cases seen by our Boston mesothelioma lawyers, the type of cells most commonly affected by the deadly asbestos fibers are known as epithelioid cells of the mesothelium. Sarcamatoid cells can also be affected, but this typically accounts for 10 percent or less of the total new mesothelioma cases each year. Finally, about 40 percent of malignant mesothelioma cells involve a combination of both types of cells. If the cancer affects both types of cells in the mesothelium, it known as biphasic tumor or a mixed tumor. Since malignant mesothelioma is almost always caused by exposure to deadly asbestos fibers, there are certain individuals who are more at risk for developing the disease, based upon their respective occupational histories. For example, workers who spend really any amount of time at a shipyard, working in a foundry, factory, and United States Navy Ships or merchant ships are at a much higher risk for developing malignant mesothelioma, because asbestos was heavily used in these industries and many others during much of the last century and even in the century before that at the start of the industrial revolution. While not as high of a risk, those who worked in the automobile industry, especially repairing cars, are at a significantly higher risk than the general public. 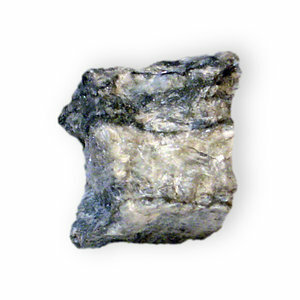 Asbestos was heavily used in brakes and brake components to prevent them from overheating, and it was used in many other car parts due its remarkable ability to withstand tremendous heat.